It's a bittersweet day. We've been with family in San Diego for the last few days, but we have to travel back to our "home" of Memphis today. Being with my family this weekend has been wonderful, comfortable, and full of sweet nostalgia. Baby Girl isn't due until February, but she already has a stocking hanging on the mantle. We couldn't help ourselves. I've thought a lot about my childhood Christmases and what I want to pass on to our little one. She'll leave hot cocoa and cookies for Santa, get one big present from Santa under her stocking, and have her pick of one gift under the tree to open on Christmas Eve before going to sleep -- just like I did. But there is one tradition that I have continued since childhood and that is adding a new ornament to the tree every year. 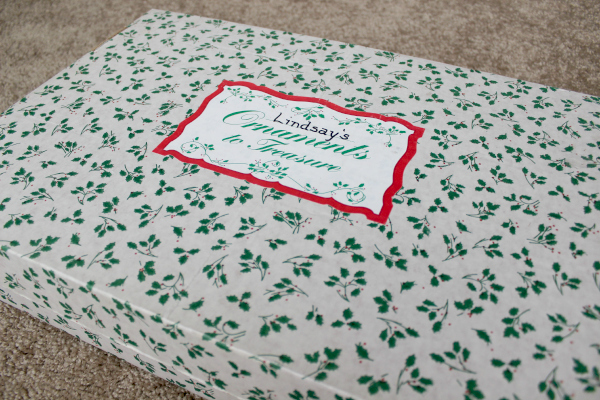 My mom started this when I was a kid, and she gave me my personalized ornament box when I officially moved out and started my grown-up life. 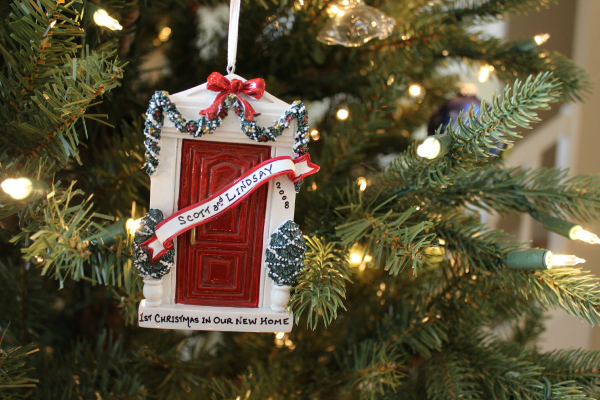 Each ornament commemorates something from the year like a trip, a show, a new home, or a pet adoption. 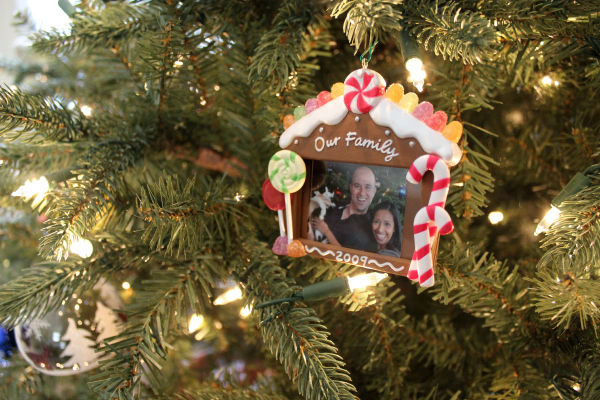 This tradition fills the tree with memories every year, and I hope to do the same with our daughter. 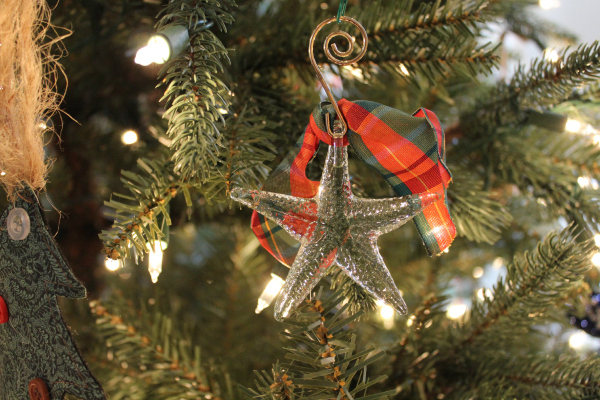 What childhood holiday traditions do you hope to pass on? 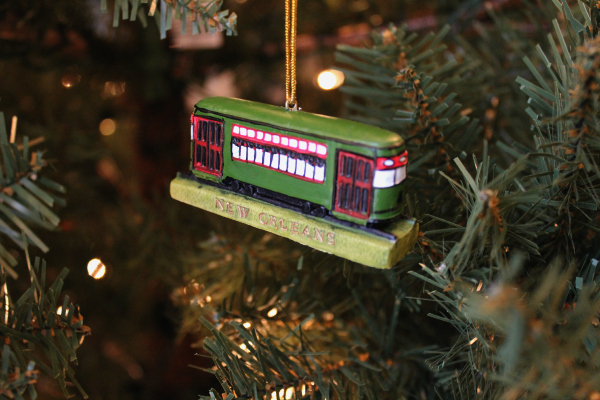 I love that ornament tradition!! How sweet! That's so awesome. Daniel and I collect our Christmas cards for a book! It's so fun! I have that exact same box! My family surprised me with it when I was 17 (my last Christmas before I graduated high school) and I got to see all of the ornaments I'd picked out for myself on trips. My family also bought a lot of pretty ones for me over the years. Now I try and collect Christmas ornaments wherever I go. 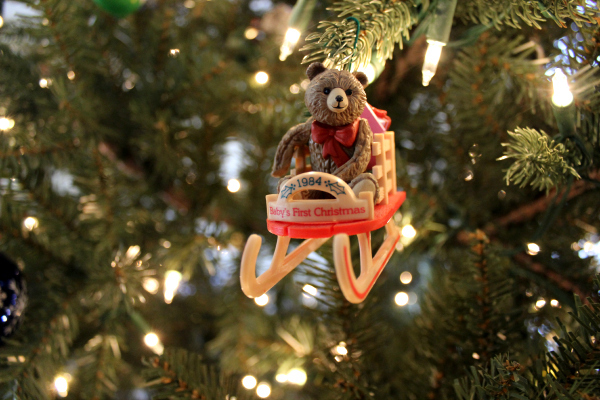 Toy has done this same type of ornament tradition for my brother and I and I cherish every single one of the ornaments! 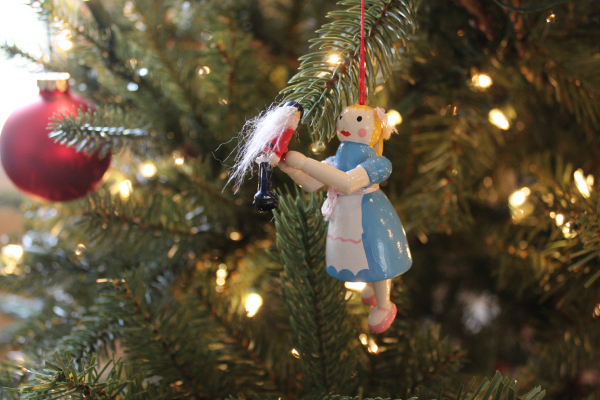 It makes decorating the tree that much sweeter! Nick's family did this as well when they were growing up! I have quite a few as well, but not as many as he does. That's basically the only ornaments that we have on our tree, haha!